"We support Customers avoiding risks when improving"
Balder Consulting has consolidated knowledge from our own life-long line management experience, our assignments, our network of global, regional and local service managers from many different industries and from our one day workshops where we and service managers share experiences. This consolidated knowledge and experience benefit our customers in our assignments. We do not start with a blank sheet of paper. All our work is partly based on already proven solutions. This helps us to guide our customers in reaching their desired results faster and more accurately. 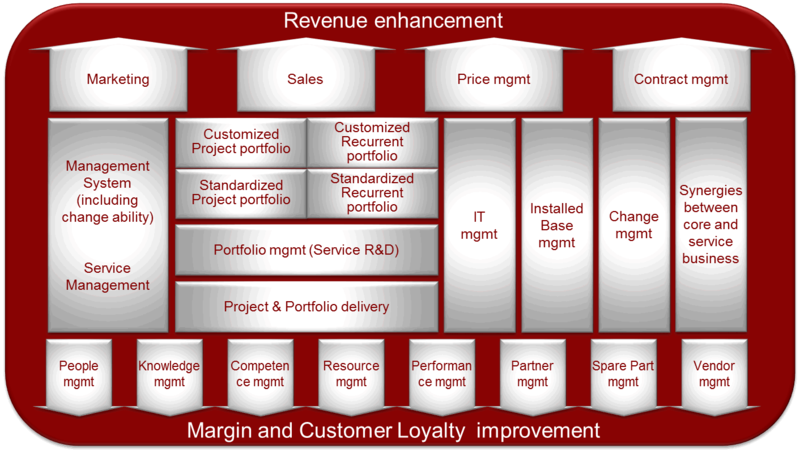 The following model guides our support of customers with service business growth ambitions. 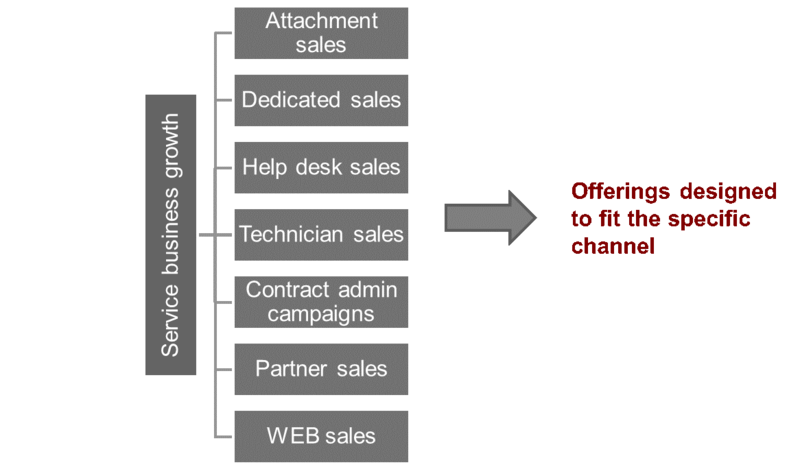 We call it “The Service Sales Channels”. 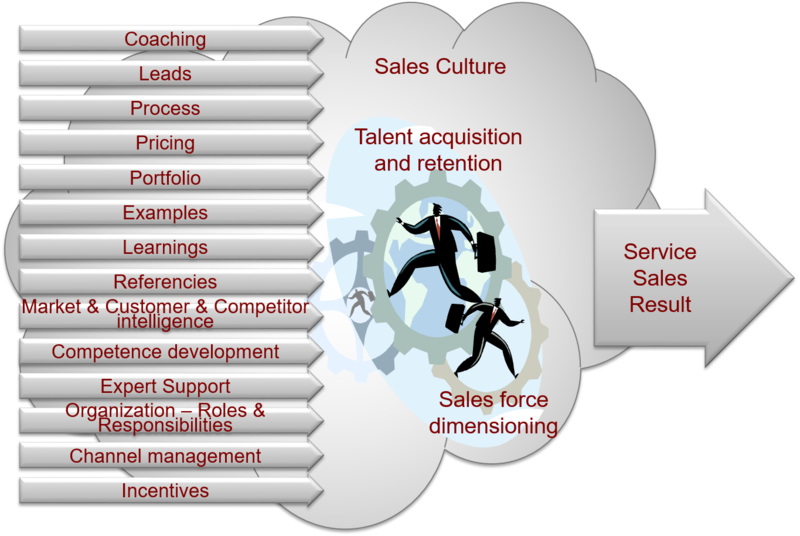 We have consolidated our service sales development experience from our line career together with the assignments performed since 2008 (when Balder Consulting was established) into best practices, models and key success factors. Together these minimise risks, minimise development time and maximise results, all benefitting our customers. We have consolidated our implementation experience from our line career together with assignments performed since 2008 (when Balder Consulting was established) into best practices, models and key success factors. Together these minimise risks, minimise implementation time and maximise results, all benefitting our customers. We have developed a number of models guiding our business-driven development of customers’ Internet of Things solutions. 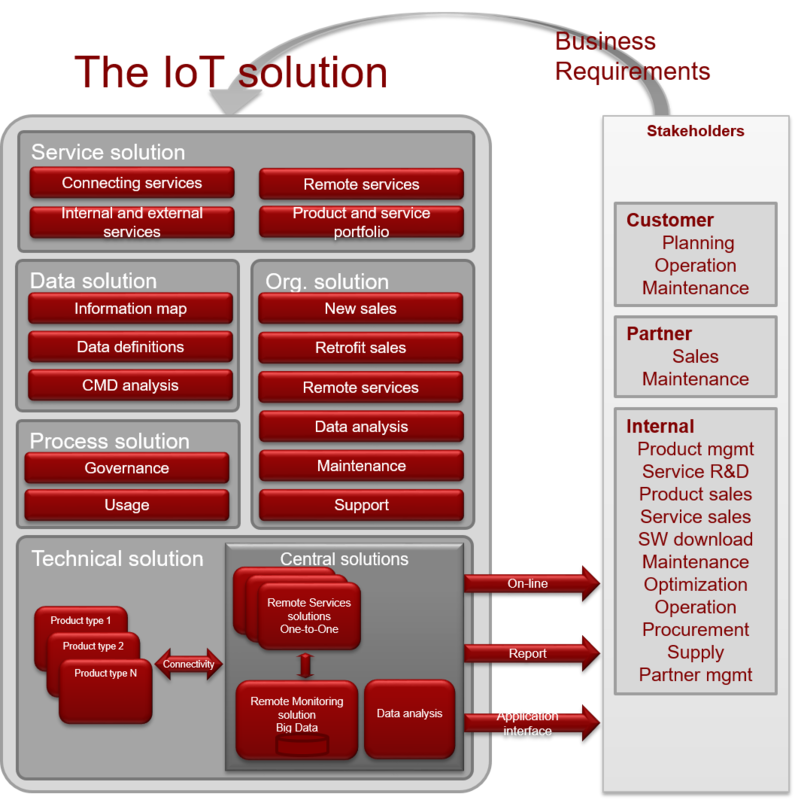 The following model represents our view of IoT solutions. Our approach is to analyse stakeholder needs and step-by-step develop services, data requirements, process changes, organisational and role changes together with the technical solution in a business-oriented way. We have consolidated our IoT development experience from our line careers together with the assignments performed since 2008 (when Balder Consulting was established) into best practices, models and key success factors. Together these minimise risks, minimise development time and maximise results, all benefitting our customers. 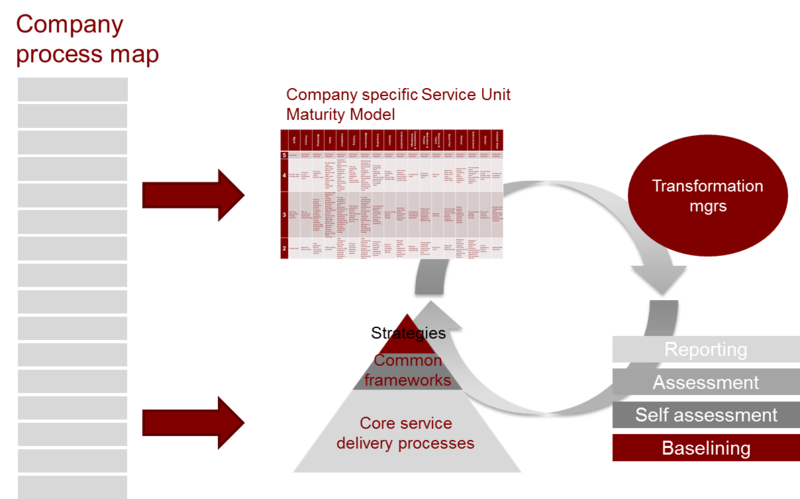 We have developed a model to describe a company-wide service operation guided by best practices. Our focus is on the areas closely related to service business growth. 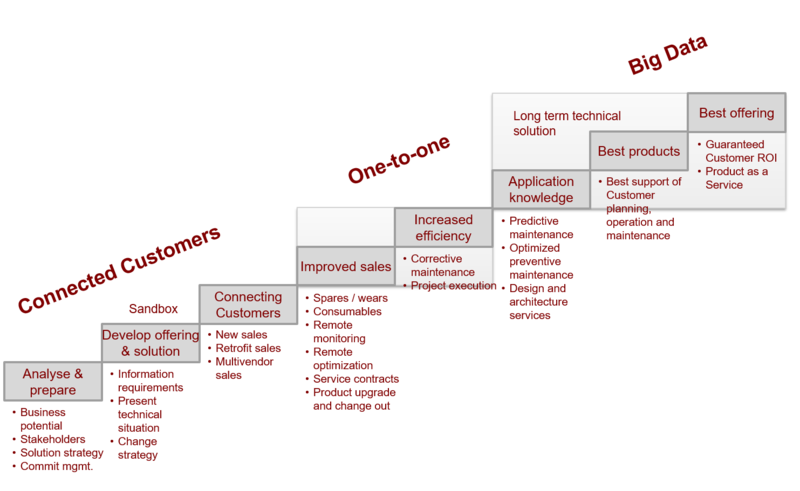 This model is used when we perform studies and develop recommendations with a more holistic view of the service business. Balder Consulting has a clear view of best practices in all these areas. Underneath each area we have consolidated many best practice capabilities that most service organisations would benefit from having.